Children f Gace (recurrring billing function & subscription model to have people contribute for sponsorships of starving children). Dan encouraging others to do what he did – making a living with an open source plugin for wordpress. The visual user experience they wanted was select multiple concurrent downloads with progress bars that look and feel like the iTunes experience for downloading iTUnes and podcasts. Levering PayPal Live handles the payment end of the e-commerce model. Now … and finally for 1st time at conference … someone loading and showing how their plugin works live. My question was: Do you support EDI? wp-commerce does integrate with the SaaS invoicing product: https://www.xero.com/. Learning photo, video & podcasting by Tony Zeoli of Digital Strategy Works… I love his north eastern the accent! single photos AND galleries, the latter will show up if you load 8 or more images (vs. nextgen gallery). Clients don’t really see a call to action in the media tab, so they don’t realize it can be used for PDFs, mp3s and other media … as well as .jpg, .gif, .png. “Strongest Gallery Plug-in for WordPress available” – Tony Z. Create an album of galleries … and post it similary as you post a gallery. So the hierarchy is albums->galleries->images which can be displayed as a list, image coursel, image list. ‘Rocking WP Video Pack” – an all-in-one plugin for WordPRess to leverage Kaltura’s online video services. Has quite a few pro features. Nathan Rice enumerates some of the issues with I’ve experienced when releasing a plug-in into the wild. Seems to be unrealistic expectations by some members of such a large open source community whom don’t understand the limitations of supporting a free plugin. Other panelists concur … and bring up issue with infrastructure issue on how to support such a large open source endeavour. THat said, scaleability doesn’t seem to be an issue at this time. Dan Milward describes issues all software producers run into … client expectation and delivering over what’s actually urgent over what’s percieved as must have. Other panelists talk about dealing with separting signals from the noise as the community grows. For example, what is good enough for a high-quality release versus trying to evolve towards a perfect product … when no 1 product will ever achieve perfection? Much of what I’m hearing are what I hear from technical product managers in other software products/ventures. Brad W. doesn’t think so … using the recent WP 3.0 effort as an example. Nathan Rice concurs, especially over the past couple years citing 2.7 through 3.0 and the merge of MU into WP at WCSanFran’09 as examples. One issue raised are some whom feel their part of the development community, when in fact they are just power users. Again, what I’m hearing, I’ve read in software development process books and magazines since 1986. Especialy so as so many more individuals are getting involved at the codebase level. Viability for a Premium Model in WordPress? Assertion is made that the emergence of a Premium Market has not only helped grow the Open Source elements of WordPress … but w/out the Premium Market, there’d be no one to pay for WordPress.org and all that goes behind it. Redhat & Ubuntu are cited as examples of successful open source businesses that have helped grow a large project. Fact is, money is a motivator. A good way to give people a taste. Fact is, money is not just a motivator, it is essential to keep open source projects like WordPress alive. After all, we all have families to feed. Jane “master of suggestion” and “cat herder” from Automattic talks about exciting new stuff with WordPress 3.0. Hopefully RC 1 will field early this week, with another release candidate to follow a bit later as the merge is such a big deal. Sounds like early July is when 3.0 will be completely cooked and ready to consume bo J.Q.Public. More for developers and server administrators. Menaing the codebase of WordPress & WordPress MU (multi-user) are coming together. NOTHING much with screens so the general user experience isn’t bewildered with big changes at the admin panel level. In other words, alot of the wiring. Custom Menuswhich will be demo’d in detail at WordCamp Chicago in a couple of weeks. Currently, theme defines your menus … now you can manage menus from the admin panel instead of a plethora of plugins (e.g. mypageorder …). Think the convenience of drag-n-drop widgets for menus … a big boon to places like church and charity websites. For more details, I blogged about upcoming changes with WordPress 3.0 and how you’ll be able to leverage it with your church and/or charity website. BBPress will likely go the path of a plugin. A question from the audience … there is no official Ning-to-WordPress product … there are several emerging plug-ins and import scripts that will help port your Ning community over to BuddyPress. Changes to WordCamp? Most are awesome, some aren’t. Some abuse the WordPress brand to talk about their next MLM scheme. So efforts are being made to build trust in presenters and 80% content specific to WordPress. In other words, WordCamps need to answer “how do you do xyz with wordpress.” Also, must be exclusive to WordPress and not part of a more generalized BarCamp or BloggerCamp. Oh, and GPL2 requirements – derivative works such as plugins, themes and other publicly distributed works need to follow this license. You can charge, you just can’t put restrictions on how the user employs your solution, but when you derive a plugin or theme … you inherit the GPL2 license. 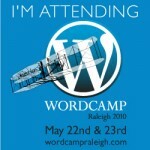 Products and providers presented/presenting at WordCamps … needs to adhere to the GPL2 model. Keep in mind, Automattic is the foundation that owns – and is the guardian – of the WP Trademark … so if you want to use said brand, you need to play by the brand’s guidelines. This is not to close doors, but to keep the brand from being exploited and/or diluted and/or co-opted in a negative way. These are not regulations.